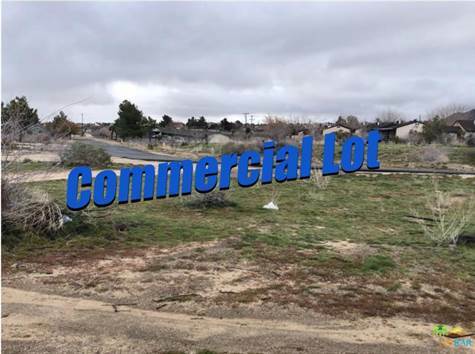 Commercial Lot 17,000 sf close to Hwy 62 & Hwy 247. Great location to be close to everything. Check with the city on all usage of building for Multi-family or commercial/retail stores. Nice flat land. Yucca Valley is a growing city. Don't Wait - Call Now!